While Dragon Age: Origins is a single player gaming experience, BioWare is taking steps to make sure players can still connect and share their game together. 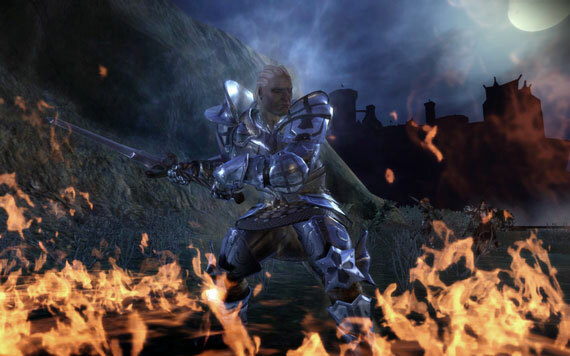 The PS3, Xbox 360, and PC versions of Dragon Age: Origins will be able to connect and share their experiences on a new social networking site. BioWares social website will track accomplishments and choices made through the game to be shared with your fellow Dragon Agers. The PC version of the game will even share important moments through screenshots, like defeating a boss - though, manual uploads to the site are possible as well. What benefits could it have? Perhaps it'll help you see a path through a certain situation by the choices another player makes. Maybe the screenshot of the boss defeat lends a clue to his weakness and gets you over the hump. It may not be a substitute for the lack of co-op in the game, something Bioware's Baldur's Gate had, but it's still an interesting way to work together. What did BioWare have to say on the topic? "One of the things for us that was really important and we're clearly seeing it on PC games—and coming across to consoles—is basically having a social experience of some sort." We couldn't agree more. It may not be co-op, but it's still gaming together in a way. Page created in 0.6129 seconds.